Catch a glimpse of the astounding beauty of the world underwater and immerse in the magical charm. Witness the astounding beauty of the protected reefs and marine sanctuaries along the western coast, either on a glass-bottom boat or by diving. 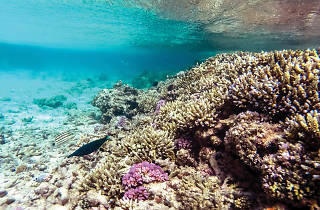 Declared a marine sanctuary in the 1990s, the Bar Reef Marine Sanctuary is one of the greatest coral reefs in terms of biodiversity in the Indian Ocean. It is one of the only two declared reef sanctuaries in the island and one of its pristine coral reef systems. 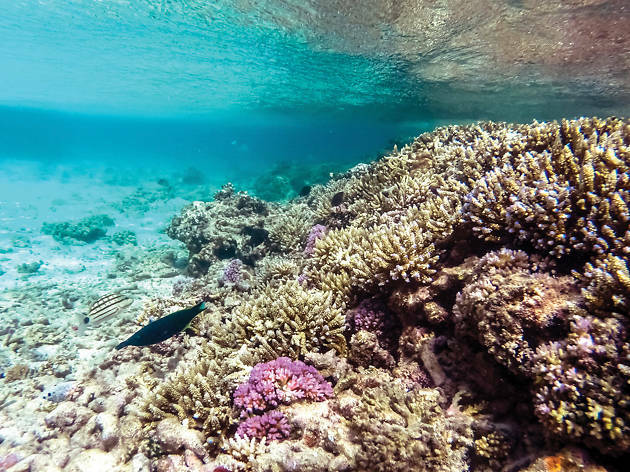 The gigantic reef covers 306.7 square kilometres of marine waters that include shallow coral reefs, seagrass beds and deep- er sandstone reefs. In fact, the reef stretches all the way up to the islands near the Gulf of Mannar. 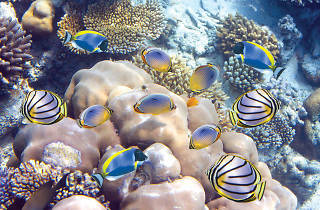 The Bar Reef is home to around 156 species of coral and 283 species of fish. 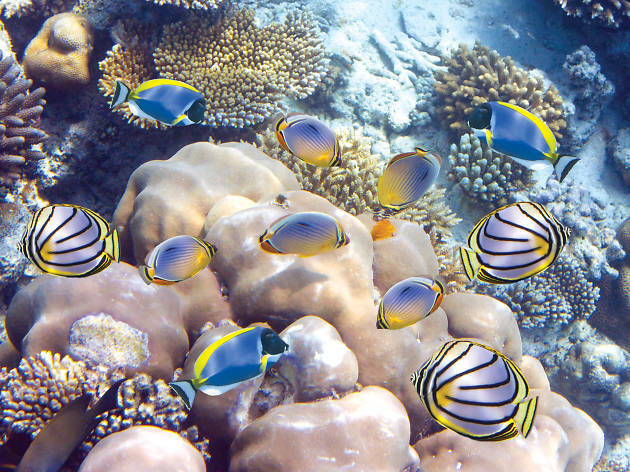 Dive amidst a myriad of colourful reef dwellers such as butterflyfish, angelfish, snappers and damselfish. A cuttlefish might scoot past or an octopus might sit under the reef. Catch a glimpse of vibrant stands of hard coral and interesting reef formations protruding seaward. 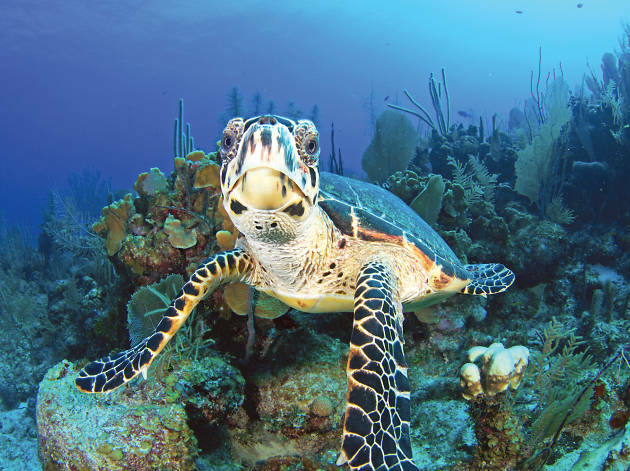 Witness fascinating sights of sea turtles swimming alongside in the deep. 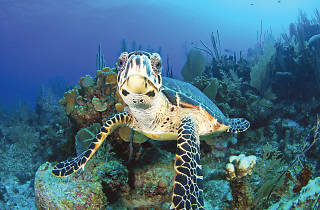 Within the coral reef numerous species including sessile animals reside. Look out for the dolphins and larger cetaceans who also visit the Bar Reef. The gentle dugong is another marine animal spotted frequently in the waters near the reef. The reefs also support species of invertebrates such as lobsters, shrimps and crabs. Another reef renowned for its astounding array of marine life is the Duwa Coral Reef in Negombo, a sought after diving destination. Experienced divers can explore the wreck of the Royal Air Force fighter-bomber, which despite crashing over fifty years ago is in near-perfect form. The Kadupaduwa shipwreck is another unexplored historical remnant underwater. Diving and snorkelling along the west coast rewards you with the most scenic views of the deep ocean. Mile upon mile of many-hued corals stretching out under the sea is a captivating sight. If you are lucky and it is a clear day, the coral reef will be quite visible from the glass-bottom boat. It will be a memorable adventure in the deep waters around the island.